This was such a special wedding for me to photograph. I've known Becky for over 15 years! I talked with her throughout the years about her life and the ups and downs of dating while she styled my hair. Becky is a hair stylist. An exceptional one, and of course her hair looked flawless and she looked radiant for her big day. 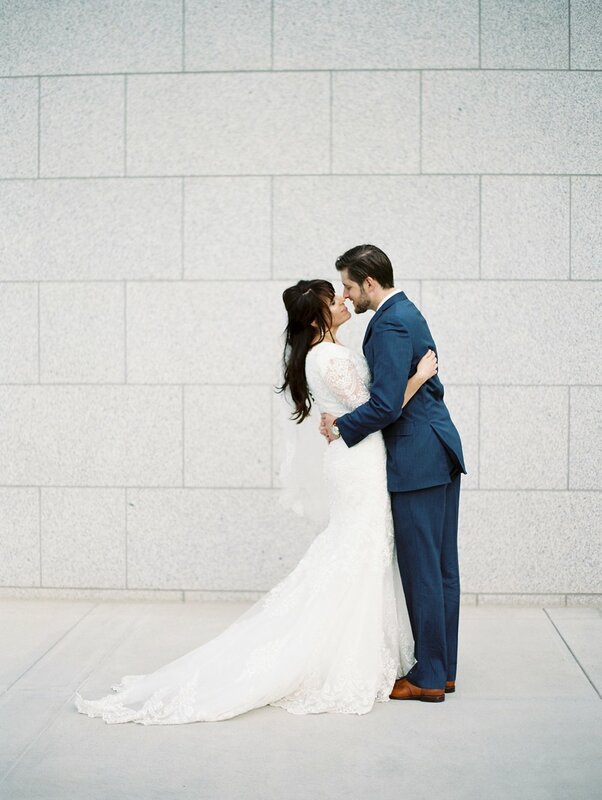 Joshua, her husband, was impeccably dressed in a blue suit and tie that coordinated with Becky's luscious, jewel-stone colored bouquet by Libby Switzer of Lavender and Lime Floral. 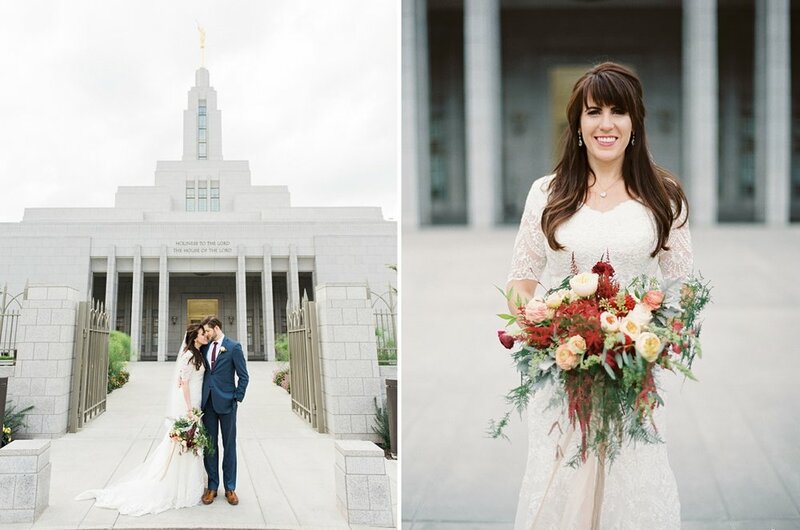 Becky and Joshua were married in the beautiful Draper LDS temple witnessed only by their closest friends and family. Upon emerging from the intimate ceremony, the radiant couple was greeted outside the minimalist, spired structure. 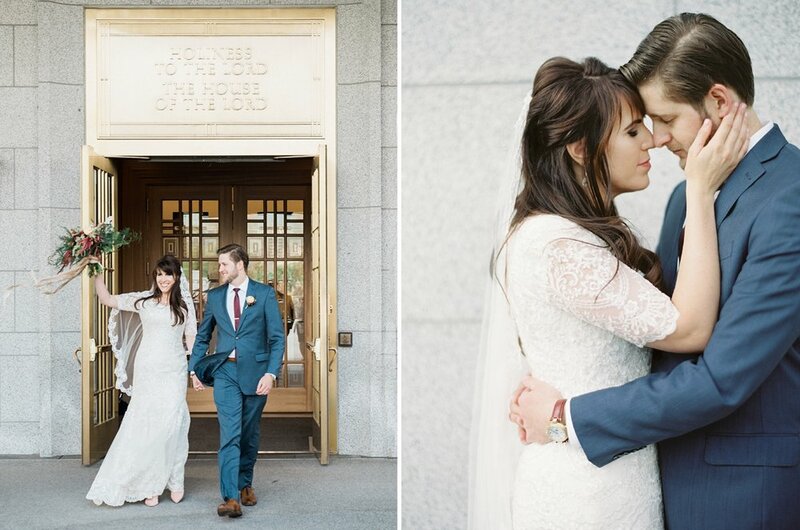 The white granite walls were a perfect backdrop for the portraits of the couple. We got so many flattering, simple images where the focus was just on Becky and Joshua and their love for each other. The reception at The Bungalow was intimate and charming. 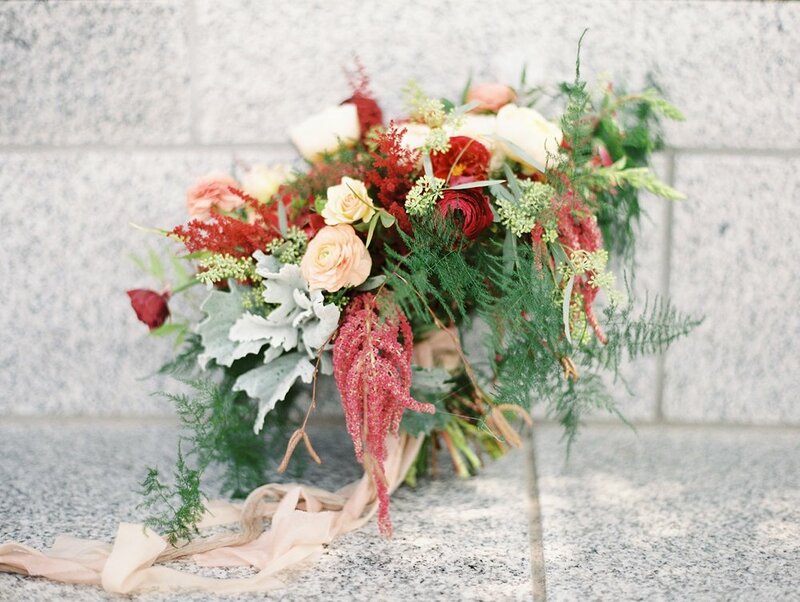 The flowers and soft candlelight created a romantic and inviting atmosphere. Later during the evening, the new groom led his bride to the dance floor for a moving first dance. The connection between Becky and Joshua was almost palpable. Following their first dance, Becky danced with her father who held her so tenderly and looked so proud. Joshua danced with his mother and it was a tearful, joyous moment. 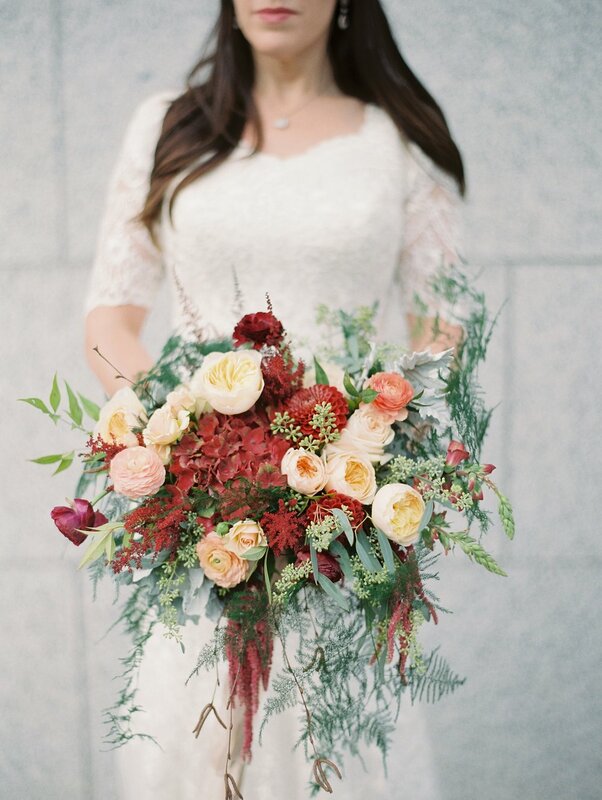 Becky was so sweet on her wedding day and made sure everyone was taken care of. That has always been one of her many beautiful traits. Becky and Joshua, I wish you all the happiness in the world and hope you treasure the memory of your beautiful wedding for years to come. That those feelings you have for each other can sustain you through thick and thin. Thank you so much for trusting me to capture and inviting me to celebrate the most important day of your life together.